Synthetic oil changes and conventional oil changes are performed the same way. The old oil—be it synthetic or conventional—is drained from the engine system and replaced with the new oil. However, when you start comparing synthetic vs. conventional oil as substances, there are quite a few differences between the two. 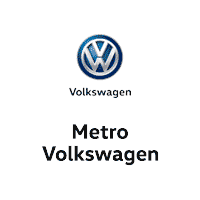 In this guide, we at Metro Volkswagen will show you how these two types of oil differ from each other when it comes to how often they’re changed, how much they cost, and how they impact the environment. Drivers in Irving, Grand Prairie, Grapevine, and Dallas should read ahead to learn more! Conventional oil needs to be changed roughly every 5,000 to 6,000 miles or about every six months. As for synthetic oil, you’ll be able to wait a bit longer for an oil change. Synthetic oil needs to be changed every 10,000 to 15,000 miles or about once a year. This is a general recommendation and can vary greatly, depending on a variety of factors. Both service schedules can be shortened, requiring more frequent oil changes if you spend a lot of time in stop-and-go traffic. You’ll also need to change your oil more frequently if you drive in a lot of bad weather or frequently tow heavy trailers. When it comes to cost, there’s a short-term and a long-term way to look at it. In the short-term, conventional oil is a bit cheaper than synthetic oil. However, conventional oil needs to be changed twice as often, so this will require you to buy twice as much oil. How much you pay for either synthetic oil or conventional oil can also vary depending on the brand that you buy. Additionally, if you buy oil specifically made for high-performance vehicles, this will increase the cost of whatever type of oil you’re buying, regardless of whether it’s synthetic or conventional. 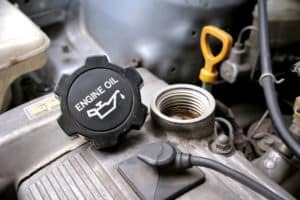 Synthetic oil and conventional oil differ in one last way and that’s what they’re made of, which directly correlates with their eco-friendliness. Conventional oil is made of natural resources, such as petroleum. On the contrary, synthetic oil is made out of man-made chemicals. In a sense, both types of oil have an impact on the environment. Ready to Schedule Your Next Oil Change? 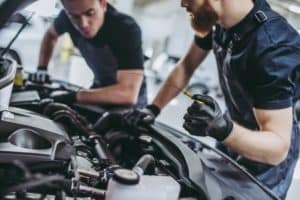 We at Metro Volkswagen hope this guide to synthetic oil vs. conventional oil gave you all the information you were looking for about oil changes. If you still have questions about different types of oils, how oil changes work, and the like, don’t hesitate to give us a call. Think it may be time for your next oil change? We’re happy to help you with that, too. We’re happy to help drivers in Irving, Grand Prairie, Grapevine, and Dallas maintain their vehicle via our convenient, on-site service center. Give us a call today to schedule your next service appointment!